Electrosonic has appointed Steve Leyland as the executive chairman of the Electrosonic board. He has been a non-executive director and advisor on the Electrosonic board since July 2015 and has worked for many leading global technology companies during his career. Philip Aminoff, who has served as chairman of the Electrosonic board for the last 14 years, remains a director of the board, and chairman of Electrosonic’s parent company Helectron Oy Ab. Leyland is a seasoned technology industry executive and brings a wealth of experience in the fields of audiovisual systems, unified communications, and telecoms to Electrosonic. He was a member of the Barco executive leadership team as well as leading Barco’s control rooms and simulation division back to profit. 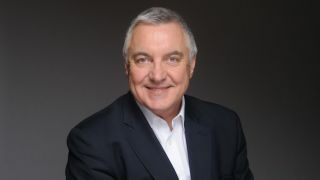 Prior to that, he was president, Europe, Middle East and Africa for Polycom, where he tripled revenue during his tenure. He has also held senior executive roles at Intel Corporation in Europe and Dialogic Corporation in the USA. Leyland has extensive international experience, having lived and worked in the U.S., U.K., Belgium, and France. He brings with him a passion for international business, people, and technology and a career track record in consistently delivering results in highly competitive technology markets. He is a graduate of Nottingham University with a bachelor's degree in electronics engineering. Leyland officially commenced this position on July 1.